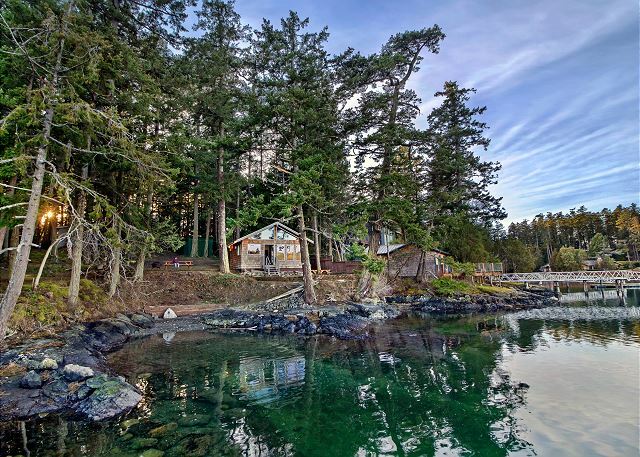 This property is situated on a private dead end dirt road across the bay from English Camp. 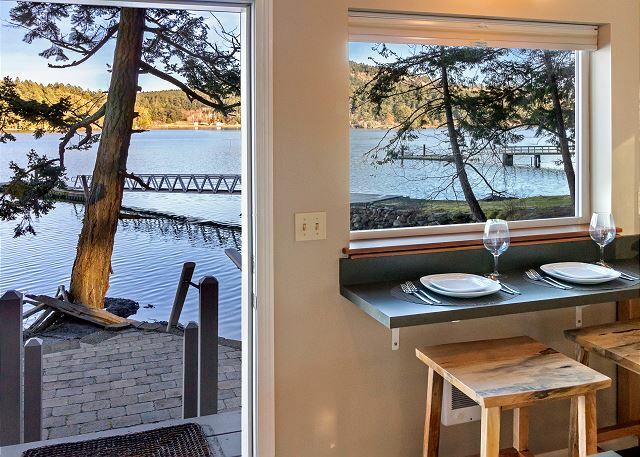 Bring kayaks and paddle boards to take full advantage of this waterfront cabin. English Camp has miles of trails to enjoy, including an amazing view from the top of Young Hill. 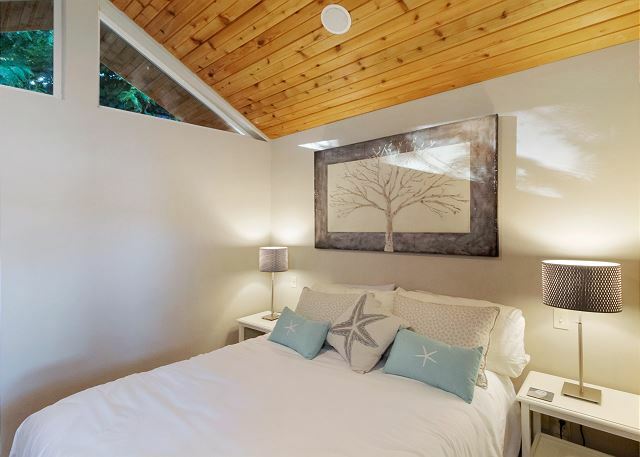 You will find that this rental is the perfect place to spend a romantic week or relax and unwind from a busy lifestyle. 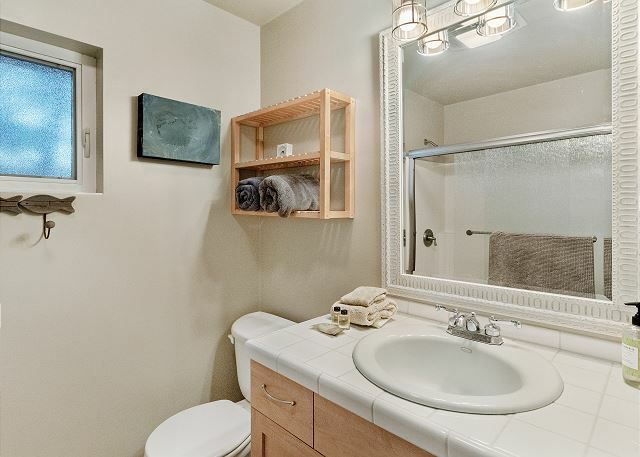 Simple, clean and cozy... we know you will find it hard to leave. Cook clams, crab and oysters on the outdoor propane barbecue. For fishermen and fisherwomen, there is a fish cleaning station at the top of the dock. Within a short distance, you can buy oysters from the oyster farm located in Westcott Bay, which are shipped all over the world. 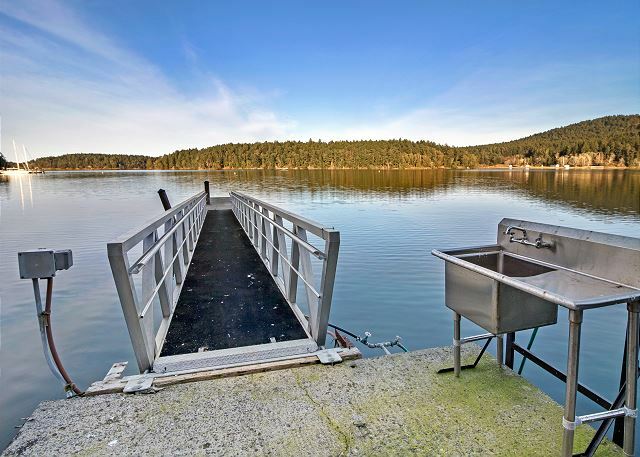 The oyster farm also has a dock for customers and is a short paddle or motor. You can also get there by walking a new trail from English Camp. We loved our stay at this light-filled, private and very well equipped cottage. We had perfect weather to celebrate our anniversary. Would love to come back in the summer with kayaks. Loved watching the sun rise over Young Hill. I noticed one reviewer thought the bed sloped toward the middle; we thought the bed was perfect. 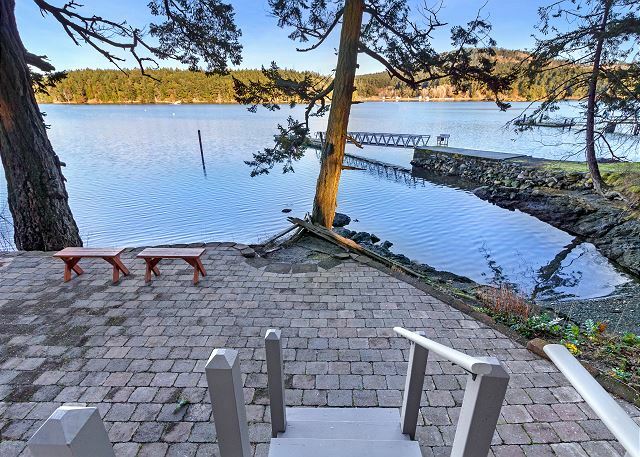 Garrison Bay Cottage is a wonderfully secluded retreat with one of the most amazing views, and we are so happy it met all your needs. Please come back again soon, we'd love to host you once more! I sweet little hidden nugget of relaxation. The home was nicely equipped and furnished. Not having the option of a TV was well needed. The pups loved hanging out on patio and exploring with us. The only real thing that stood out as non-positive was the bed drooped so bad in the middle that it felt as though both of us were sleeping in a hammock! Other than that, a 10am check-out seemed rather early especially when the hotels check out is 11am. With a $200 late check-out fee, we opted for that and were told it was not an option that day... So much for sleeping in a bit on the last day of a beautiful and relaxing weekend. 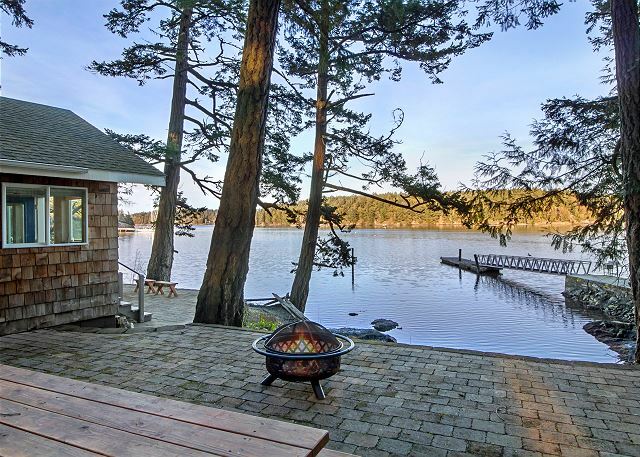 We are glad to hear your stay at Garrison Bay Cottage was relaxing and enjoyable for you and your pups. 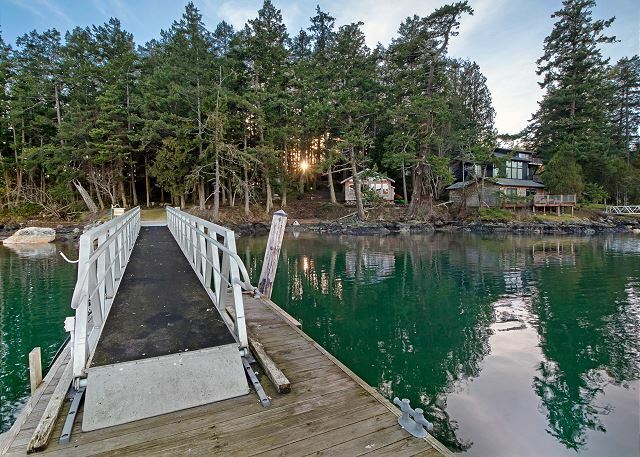 Garrison Bay Cottage is very special and secluded, and we happy to hear you were able to soak in all it has to offer. The homeowners have recently decided to purchase a new mattress at the property, which will be upgraded this spring. The checkout time is 10am for all the vacation rental properties that we manage, as rental homes require more care and time cleaning than a hotel room. We try to accommodate late checkout times as much as possible, but late checkout times are dependent on the cleaning schedule of a property. Unfortunately, this property did have guests set to arrive on the afternoon of your checkout day, as was explained. 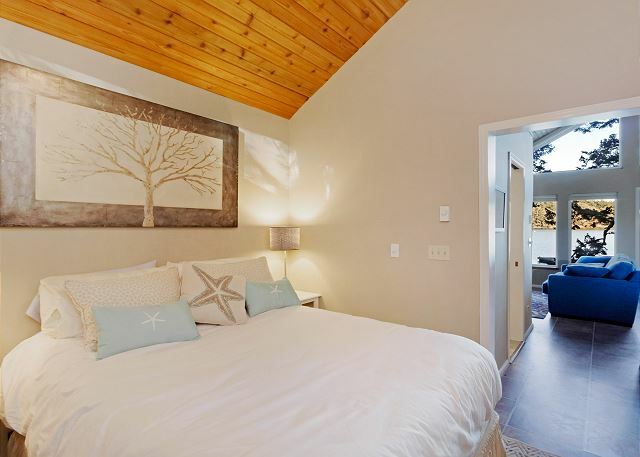 Garrison Bay Cottage is super cozy and well appointed with everything you need for a quiet getaway. The view is gorgeous. 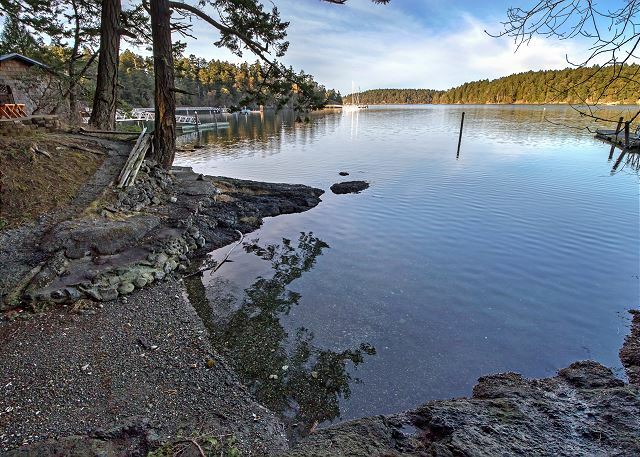 Very quiet location but close to Roche Harbor dining etc. San Juan Prop. Mgt was great at communicating details prior to, and during our trip. We are so happy you enjoyed yourselves at Garrison Bay Cottage. 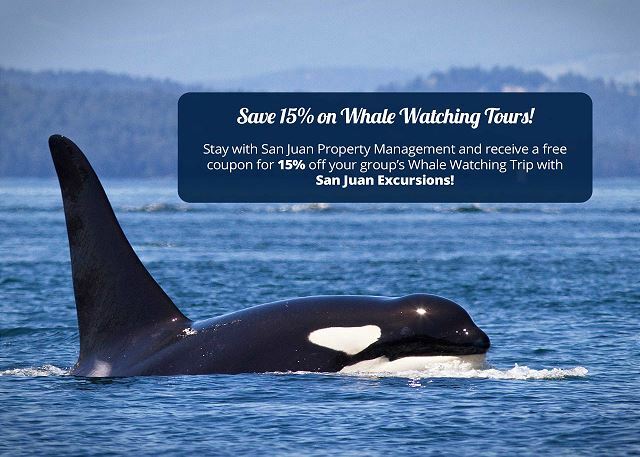 It is a truly wonderful and secluded area of our Island and we love to host guests that can appreciate the quiet bay and surrounding wildlife. 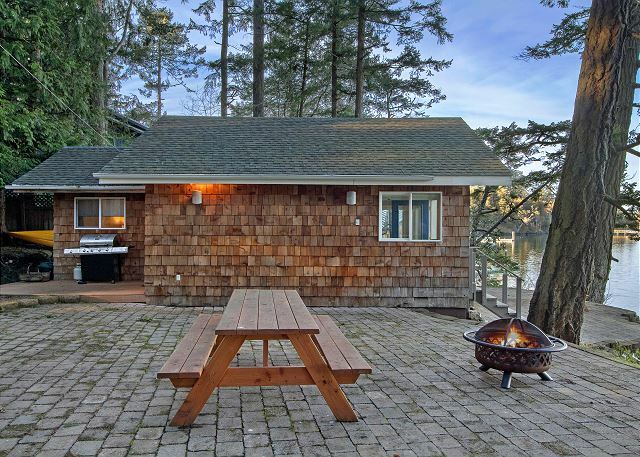 We hope to host you again at Garrison Bay Cottage in the future! 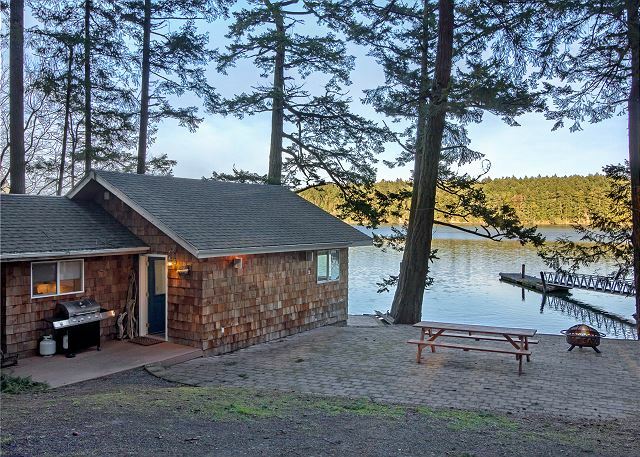 Beautiful little cabin with the beat views that is well maintained. We had some trouble getting our car into the rural driveway due to the rare heavy snowfall that had just taken place and ended up receiving assistance via the phone from the property management and also from a passing neighbor. So appreciative of both. That was a very adventurous and snowy weekend you endured through! We are so glad you were able to get there and enjoy yourselves. Garrison Bay Cottage in the snow probably looked like something out of a fairytale. 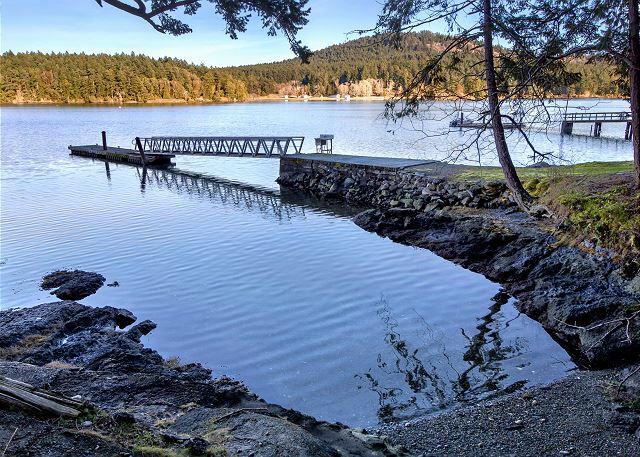 We hope you can return soon, we'd love to host you again at Garrison Bay Cottage! We stayed in this cabin for Thanksgiving and loved it so much we booked it for 4 nights for my husband's birthday in January. It's perfect! 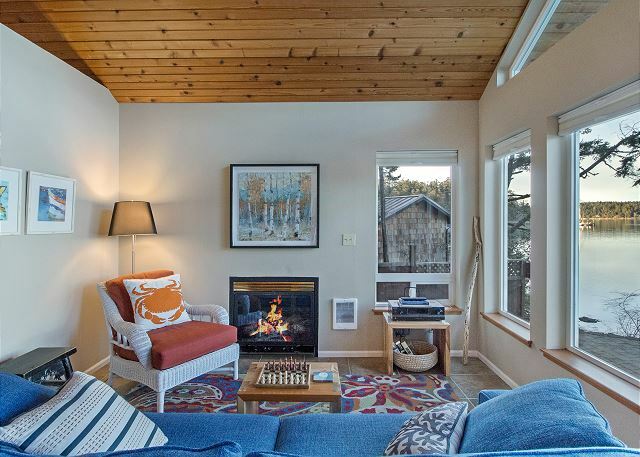 Garrison Bay Cottage really is the sweetest San Juan Cabin! We are so glad you enjoyed yourselves so much you needed to return. The seclusion of that spot is really special! We hope to host you again at Garrison Bay Cottage in the future! 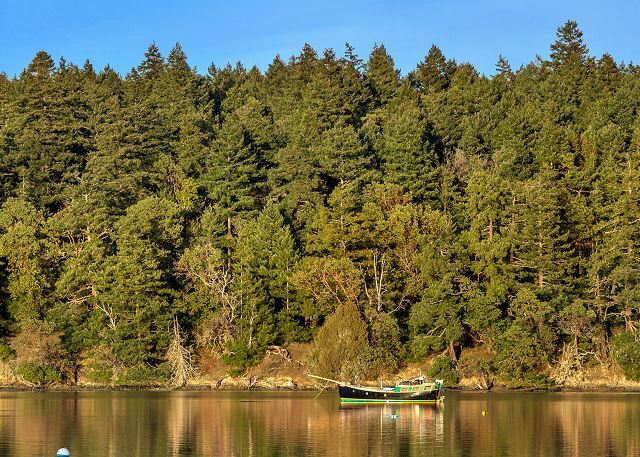 We loved the three nights we spent at the Garrison Bay Cottage! The only thing that could have made it better is if we had time in our schedule to stay longer. The cabin is cozy, warm, clean and has the most comfortable bed I think we have ever slept in. We would love to return and bring our paddle boards, as the bay is beautiful. 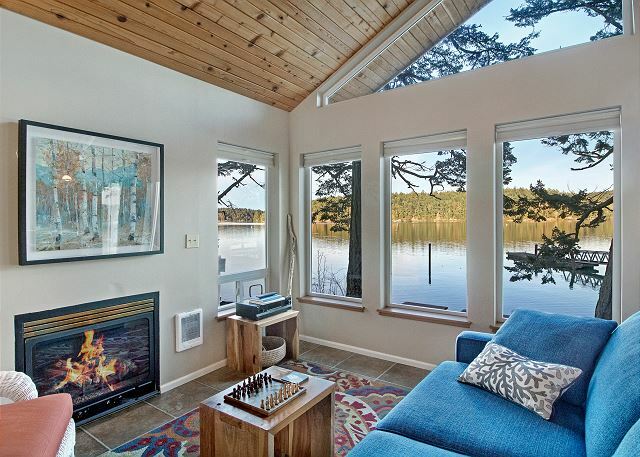 The cottage was perfect for a long weekend on San Juan Island. 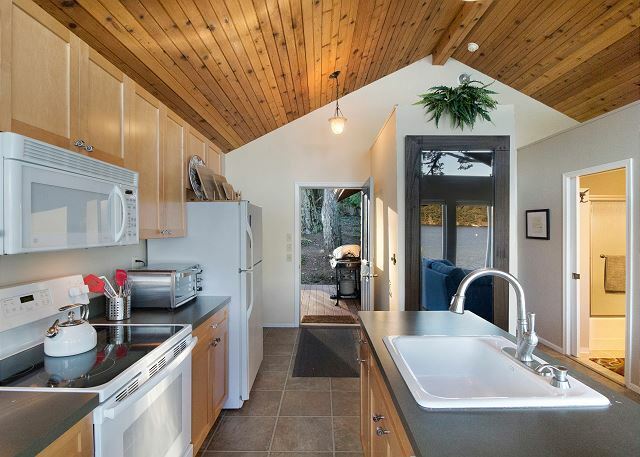 The kitchen was well equipped and the cottage was clean and comfortable. We enjoyed spending the early morning sipping coffee and watching the sun rise over the water. We would definitely stay here again. Relaxed, beautiful, and renewing. We loved that the cabin was so cozy and had a kitchen. The sound system was a pleasant surprise as well! One odd thing was that upon arrival, the heat was turned up as high as possible. It must have been close to 100-105 degrees inside and we had to keep the doors and windows open for a little while. It was not a big deal - that would be the only change I suggest. Was an absolutely wonderful home that had everything we needed for our week stay. We were able to easily utilize our boat that we kept at the private dock and kayak around the different bay. It was one of the most peaceful getaways we have had and will certainly look to do that again. Perfect place for the two of us and our dog to celebrate our birthdays. Once you know where it is, very easy to drive in and out. Just a few minutes to Roche and a great restaurant (Duck Soup!). My husband and I loved our stay at the Garrison Cottage. The location was great, and we got all the peaceful quiet we were asking for. The home is just big enough to provide all that you need with the comforts of home. The home and property were clean. It was great, and we're hoping to be able to make it back again! Thank you to the Stewarts for allowing us to stay! Everything about our rental experience was excellent. 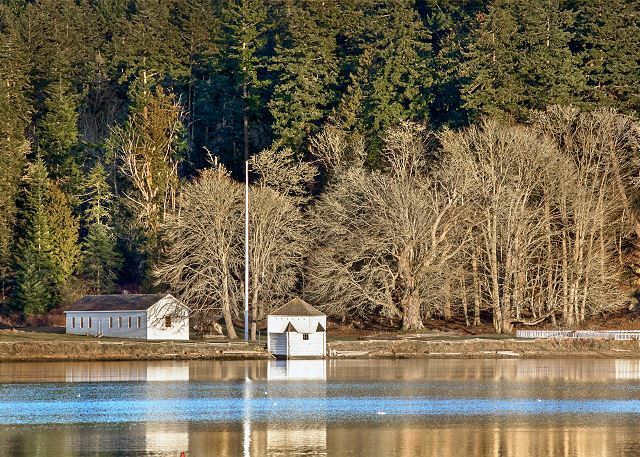 The cottage is so quaint, all the amenities you need are here, and the setting and location on Garrison Bay is fantastic. 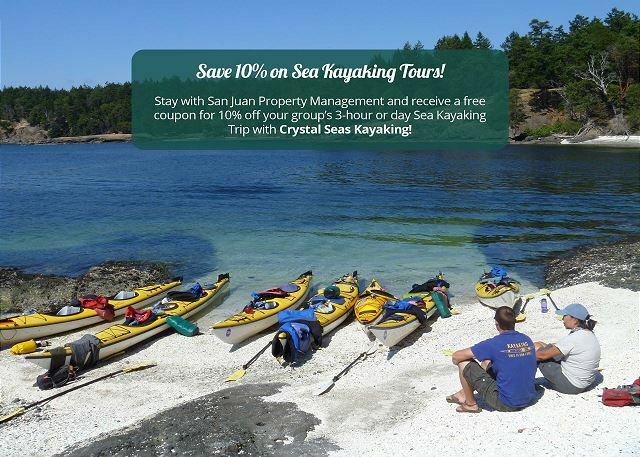 It would be really great if owners gave renters the option of using the small kayaks--that was our only "wish" with our stay. Owners might want to consider installing screen doors--the breezes are fantastic with both doors open but we did have some flies due to no screen doors. Not a big deal though! We celebrated our 25th wedding anniversary over a long weekend in this cozy cabin. We brought our kayaks and went out early every morning to enjoy the bald eagles, seal families playing in the bay and calm waters and then each evening to end the day. 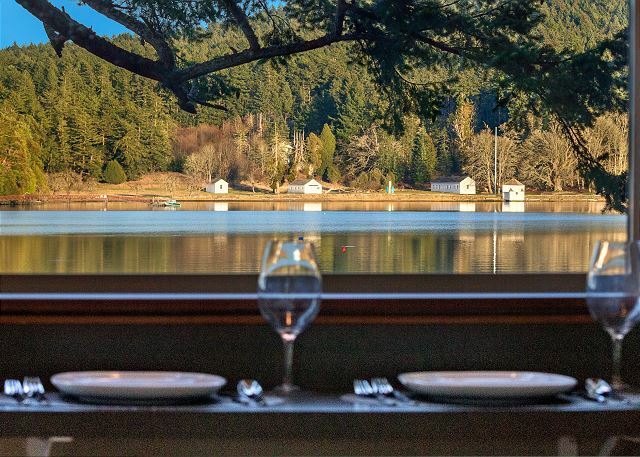 Wonderful places for food in Friday Harbor and Roche Harbor. We took some nice walk/hikes, toured the Lavender Farm, Saturday Market and local art galleries. Super fun and relaxing weekend, we will definitely be back - Thank You! 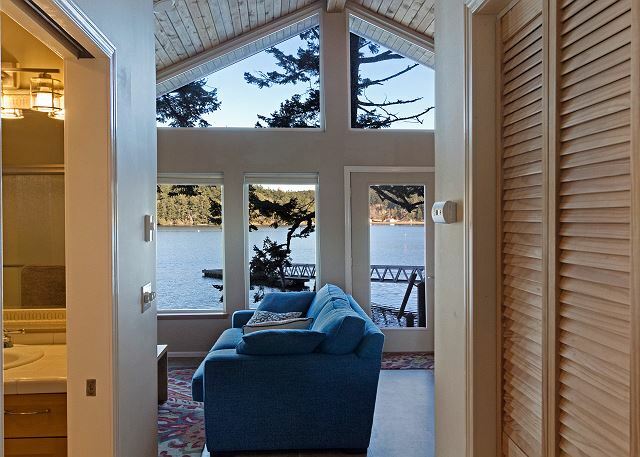 I spent a few days at the Garrison Bay Cottage and had a fabulous experience. The cottage and its amenities were perfect for my needs. I absolutely LOVED all of the wildlife that was viewable from the cottage. The outdoor living areas were also wonderful. It was so quiet and peaceful. And the property was fabulous for my dog. The property management company was excellent and communicating with me regarding the property. They were readily available if I had needed anything. I was so sad to leave this property - but I really hope to be back someday soon. This was exactly the experience I was looking for after a heavy and hectic work-year: quiet, solitude, beauty, light, wildlife, hiking, kayaking, local seafood. Could not ask for a better location, or more comfortable accommodations. Liked being more secluded, not in Friday Harbor, but still easy to get around the island by car. My only quibble? We're coffee and tea drinkers who love a big morning mug of wake-up juice--and your cups are too small! But that's a "first world problem," as they say. A truly exquisite experience overall. I would happily stay again, and recommend to others enthusiastically. We had a two night stay in this sweet little cabin. It was private, clean and comfortable. We arrived and dropped the key through the deck slats. Someone came with a new key within a half hour and was sure to blame the key not us. Everything in the place was just right. But we couldn't figure out how to work the fireplace. We appreciated the nice sheets. Would have loved tea and coffee supplies. Staff checked in with us and were helpful. Garrison Cottage was a great little island getaway where we were able to relax and escape the everyday hustle and bustle of our daily life!! The secluded cottage was a little piece of heaven with beautiful views and a relaxing atmosphere. Fantastic property, well appointed and clean. Management was very responsive and professional! We were looking for a quiet and relaxing getaway. This was it! We spent our time relaxing, watching the abundant wildlife, and paddle boarding around the bay. The cottage was clean, comfortable and inviting. We look forward to our next stay at the cottage! 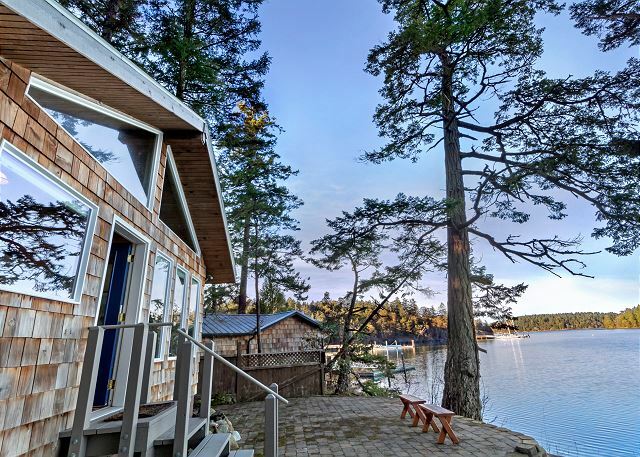 It's the New York efficiency of lake side cabins for two. Pretty much everything is ready, well thought out. Super comfortable bed. The view of the lake and English Camp is spectacular. Loved the little Pig War statue. No TV but the book selection will give you a book foundation on American thought and the chess game will sharpen your skills. Even in late June we weren't getting mosquito bites. You wouldn't know it's dog friendly, didn't feel torn apart in any way. 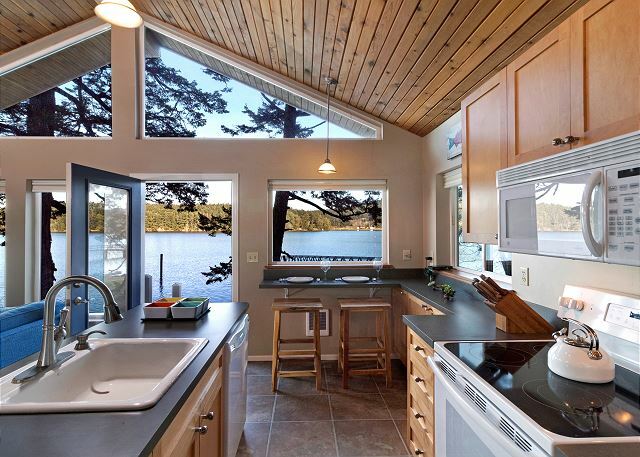 The only things missing: a comfortable place to eat inside (stools too tall for the counter) and no paddles for the kayak (assume they were off limits for guests). Thanks to the owners for providing such a wonderful place! The cottage is exactly as the pictures depict. We enjoyed a wonderful 5 day stay in June of 2017. Would highly recommend. This cute cottage was relaxing and had an amazing view. We loved seeing bald eagles and otters from the windows while we were eating dinner! Had everything we needed, clean, great place! Perfect place to get away and relax. Lovely cabin with beautiful surroundings. Has everything you need.